We are the TRIBE: Trustworthy-Respectful-Involved-Brave-Excellent! Become a Lambda Eta Sigma Graduate! 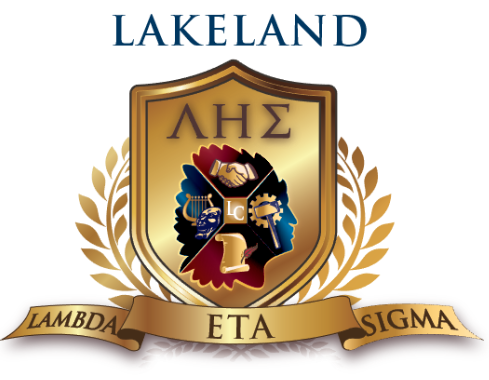 At LHS we hope to promote and encourage students to achieve Lakeland Lambda Eta Sigma status. The following categories express our collective values and identify what an ideal graduate should achieve during his/her high school career. EXCELLENT: Maintain at least one leadership position on an extracurricular activity, for one year. Transfer students will be responsible to present evidence of meeting the above criteria, certified from their previous school(s), to be eligible for the award. A district form is available, allowing a transfer student to be potentially eligible for the award, would need to be filled out by the student and their parent.